What are you usually thankful for at Thanksgiving? Is it that amazingly succulent turkey you can put on your dinner table as well? The truth is that with Thanksgiving approaching at a fast pace, you’ll need the best turkey shotgun scope if you’re to have a complete, traditional dinner. And with so many items to choose from, that might not be so easy, but you’ve come to the right place. 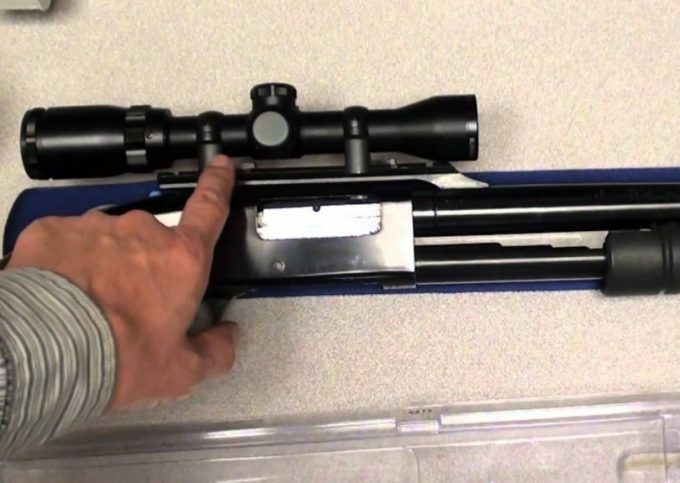 A scope that fits your turkey shotgun should have the appropriate dimensions, so it can fit your weapon. It also has just the right magnification for different turkey-shooting scenarios, and the reticle fits this specific type of game. 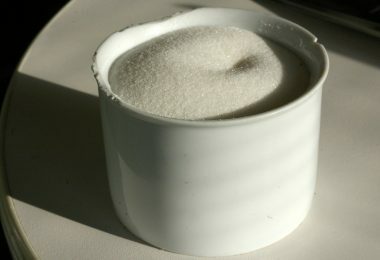 In terms of dimensions, you need to consider the magnification and lens diameter. Of course, for turkey hunting, you won’t have bigger magnifications than about 8x because turkey hunting isn’t at a bigger range. However, you can opt for a wide magnification range that allows you to take shots at short and medium distances, so you can use your scope for bigger games too. The bigger the lens diameter, the more light can pass through the lenses, and hence you’ll get a better dim light vision. 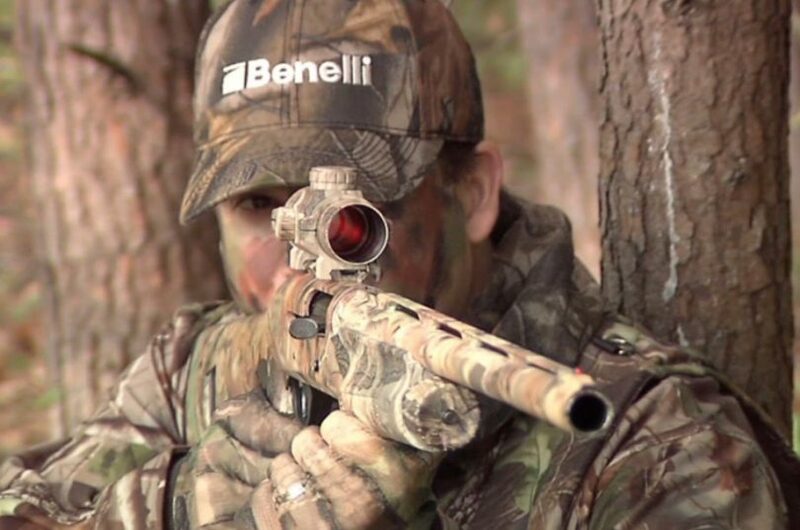 However, turkeys aren’t that active in the evenings, so, a smaller lens diameter isn’t a deal breaker unless you want to use your scope for other purposes. The best reticle for these sort of scopes is hands-down the turkey reticle since it’s specially made for hunting turkeys. However, you can choose a diamond-shaped reticle that allows for quick target acquisition and measures precise distances and can work for deer too. Even the basic Duplex reticle does a good job since it’s versatile, quick and easy to use at longer distances. You can also look for a bullet drop compensation feature if you need to take gravity into account, especially for tree-standing. The coating improves light transmission and increases image sharpness, that’s why you need a proficient lens coating for hunting quick game like turkeys. It’s even more important if you’re going to use this scope when the turkey season is over for other game. The best scopes are fully multi-coated for optimal image brightness, but that may add to their overall weight. A full coating is a basic option, providing enough image brightness for a turkey hunt, and that decreases the retail price. You’ll need good materials like aluminum, to make your scope more resistant against weather, recoils, and dust. You can look for a gas purging or gas filling that eliminates internal fog formation, turning your scope waterproof too. Depending on what your needs are, you can take weight into account. A lighter scope won’t destabilize your weapon, though a heavier scope is better at withstanding recoils. Most turkey scopes have manual windage and elevation adjustments, especially at the lower end of the price spectrum. 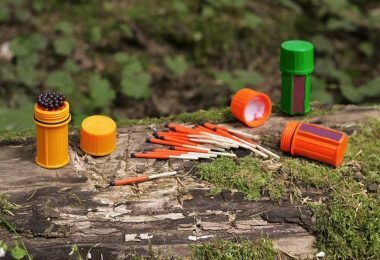 Make sure the clicks are audible and that these adjustments are precise, particularly for use in inclement weather and inclined terrain. The windage and elevation adjustments that require tools might be harder to use, more so when time is of the essence. But they can still be precise enough to suit your needs. That said, you can read our following reviews with a better understanding of what you need and how you can get that. All the items below are quality products, yet accessible, manufactured by trustworthy brands, so we hope you’ll find the right one for your needs. Description: The Leupold VX-1 Shotgun Scope is the perfect shotgun scope for turkey hunting at a medium distance. That’s because it has a magnification of 8.5x, which enables you to see precise details at a bigger distance. Besides, if you choose the Turkey Plex reticle available, you’ll have an increased chance of putting a turkey on the Thanksgiving dinner thanks to its special design. This reticle allows you to zero in with extreme precision, and also measure the distance. And if you’re at maximum magnification, you can sight in the turkey’s head at 40 yards or so. But the Duplex reticle works just as well if you’re going for a different game, not just turkey. And you’ll get considerably bright images thanks to the multiple layers of coating applied to the lens. However, the parallax setting starts at 75 yards, so you might experience some blur at shorter distances. The 0.25 MOA windage and elevation adjustments are precise too, and the 3.7 inches eye relief is generous enough for a turkey scope. 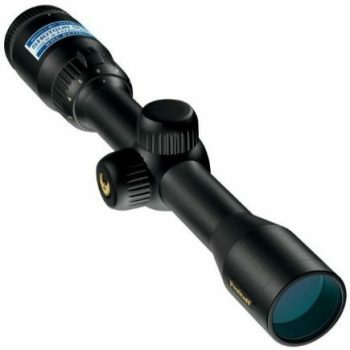 We also appreciate the rugged construction that renders this scope waterproof, so you can use it in adverse weather. Related: The Leupold PRW 1-in Low Mounting Rings might be exactly what you need for mounting this scope. They are light, yet durable, easy to adjust and provide a low mount which fits the height of the Leupold VX-1. 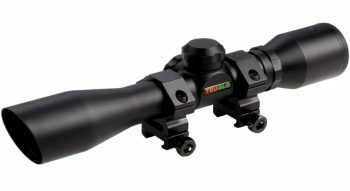 Description: The Truglo Compact Strut N Rut Scope is another great scope for hunting turkeys as well as deer. That’s thanks to a diamond-shaped reticle that allows precise target acquisition and fast zeroing in. Besides, the 4x magnification allows you to shoot at medium-short distances, even in brush up to 100 yards. However, since this is a very inexpensive product, there might be some image blurring at dusk or dawn because of the low light. This scope is fully coated with just one layer of coating, so this also explains why you won’t get perfect clarity. Even without multiple layers of coating, the scope itself is still pretty heavy – heavier than the Leupold scope we’ve just reviewed. The reason lies in its aircraft-grade aluminum build, which is a tough, but heavy material. In regards to its resistance, we have only praises starting with its one-piece design. The strong construction is complemented by a scratch and reflection resistant matte finish, while its nitrogen filling accounts for it being waterproof and fog proof. The rubber eye-guard is very comfortable, but the windage and elevation are a bit hard to set, even if you have the included leaf spring. You’ll also get included Weaver rings, but these are a bit flimsy. Related: If you like what this scope can do, you’ll want to mount it, right? Then the Mossberg 500/590 Picatinny Rail Mount is exactly what you need. Description: The Simmons ProHunter Shotgun Scope is another inexpensive scope, but half as light as the Truglo scope, even if it is multicoated. The multiple layers of coating allow an increased light transmission and account for brighter images too, so that’s another plus. The ProDiamond reticle has a diamond shape, obviously, but it’s great for quick target acquisition and it seems to draw your eyes to the target instantaneously. However, the crosshairs might be a bit thick for some people’s tastes, though they’re perfect for turkey or other medium-sized games. The variable 1.5 – 5x is great for covering a wide range of distances, so you can even do some brush hunting, but the zoom ring is a bit stiff. The windage and elevation adjustments are manual, with a TrueZero construction. This enables you to maintain a perfect zero no matter what. The 4 inches worth of eye relief is a comfortable feature, especially for turkey hunting. 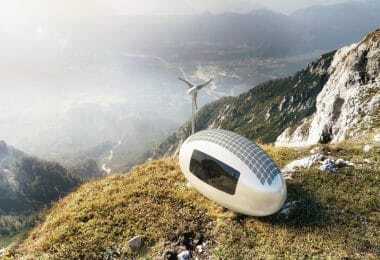 The housing is very resistant, considering it’s waterproof and fog proof. Related: The AccuShot Picatinny/Weaver Medium 2-piece 1-inch Rings are perfect for this sort of scope. They fit its tube, they’re easy to adjust without scratching your scope and are great for most rifles considering they work with both Weaver and Picatinny rails. 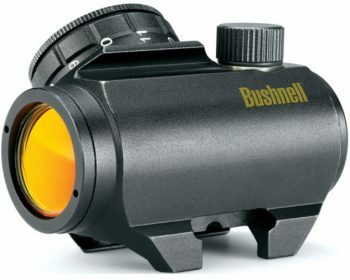 Description: The Bushnell Trophy TRS-25 Sight Riflescope is a versatile scope that can be used for turkey hunting as well as other similar-sized animals, or bigger ones, provided you’re using it for short distances. That’s because it has a 1 x magnification that won’t allow you to enhance the details, so it’s not useful for the long range. However, the 1x has its advantages, starting with an accurate depth perception and the possibility to keep both your eyes open. You also have an unlimited eye relief, which is extremely comfortable. 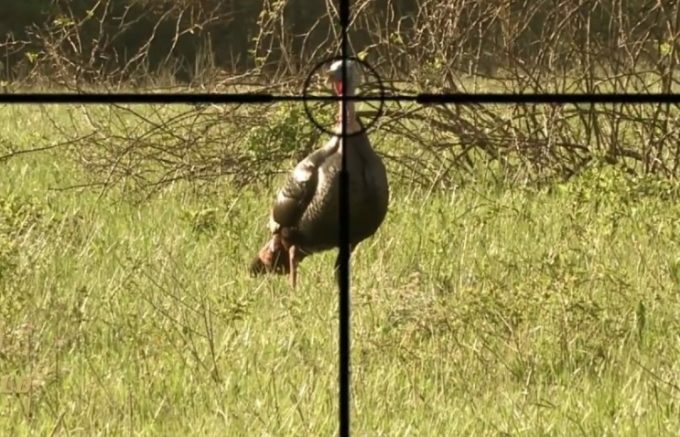 Another reason why this is a good scope for turkey hunting is its 3 MOA dot reticle. That makes it pretty versatile for medium-sized animals. Besides, it has an easy target acquisition which is exactly what you’d want for animals who are moving fast. We love the design, except the reticle LED that covers some of the field of view because it’s fixed inside the tube with adhesive. The reticle might also appear blurred for the bigger light intensities, so you have to fiddle the illumination a bit. Other than that, you’ll be getting extremely sharp images thanks to an amber multicoating and a parallax-free design. The TILTED front lenses are protected from dust, debris, and rain inside the body, and the dry-nitrogen filling accounts for a waterproof and fog proof scope. And if we’ve been comparing the weight of the previous items, we appreciate this is the lightest scope in our reviews. Related: The Tacksport Scope Rail Mount is a reliable, versatile and inexpensive mount, and it fits with many other scopes or types of weapons. So it’s really a wise investment in your hunting future. Description: The Nikon ProStaff Shotgun Hunter Riflescope has a variable 2-7x magnification which allows you to shoot comfortably at close or medium distances. 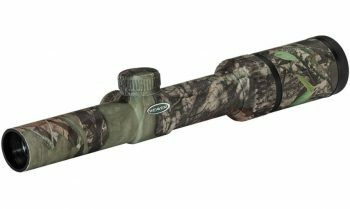 You will see enhanced details that work for turkey hunting, as well as deer hunting, but you can also use this scope for hogs or squirrels. The polymer build is light, yet resistant to tough field conditions and inclement weather. The BDC 200 reticle is great for fast moving targets like turkeys or varmints, but it’s not lit. Apart from the very obvious ballistic circles thanks to which you’ll get a quick target acquisition and instant aiming points, you’ll also get a bullet drop compensation. This takes into account elevation, so you can even use this scope when you’re tree-standing. We love the zero-reset turrets that make the field adjustments particularly easy and the very comfortable eye relief. The full multi-coating is another advantage in terms of image sharpness, but the quick focus eyepiece is our favorite by far. 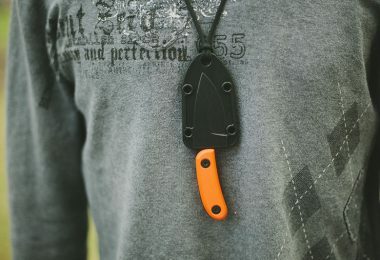 This helps you take fast shots too and make sure the turkey you’re after will gobble no more. 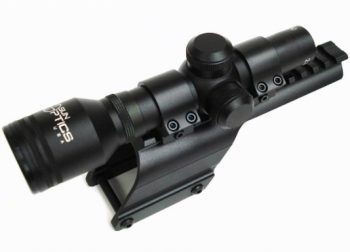 Related: You’ll need some sort of mounting system if you settle on this scope, and we think the Accushot UTG High Profile Picatinny/Weaver Rings are great for the job. You’ll get two rings that fit 1-inch tubes and have a high profile design. These are inexpensive, yet sturdy and they offer a hassle-free setup. Description: The Remington 870/870 Express Shotgun Scope is also good for short distances thanks to a 2.5x magnification that proves effective when you’re brush hunting turkeys or deer. The 20 mm lens diameter might not be so great for dim light because you won’t get an optimal light transmission. However, the full multicoating renders bright images and increases a bit the light transmission. The Duplex reticle is very basic but it has some advantages, starting with the fact that it works in low light even with a short lens diameter. 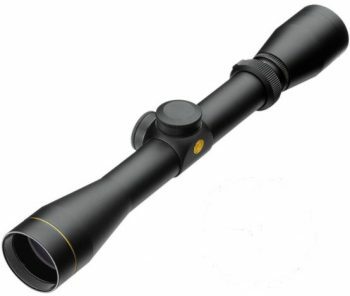 Besides, though this scope is for the short range, thanks to the Duplex diameter you can increase that distance. It’s also a reticle that allows quick target acquisition, and the 1/4 MOA windage and elevation make this scope very accurate too. The 6 inches eye relief might be our favorite feature, especially for rifles, but it’s on par with the reliable, sturdy construction. 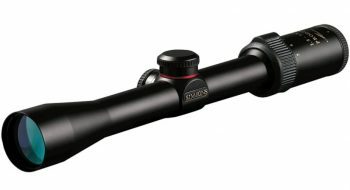 The lenses are precision ground so they explain the HD quality, while the aircraft-grade aluminum body and aluminum saddle mount are very resistant, making this scope resistant to recoils. Thanks to its nitrogen filling, the Remington Express is furthermore waterproof and fog proof. While we appreciate the lens covers and included cleaning cloth, along with the Picatinny rail, we can’t help but notice how low the included rings are. So that might give you some troubles if you want to move the scope forward on your rifle. Related: The P2M In-Chamber Laser Bore Sightis great for protecting this scope and for offering precise night vision. With a built-in class III laser and an aircraft-grade aluminum build, you can rely on its durability, even if it cost next to nothing. Description: The Weaver Kaspa Turkey Ret Obsession Riflescope is extremely versatile for all sorts of animals. For instance, the Turkey reticle is great for, you guessed it, turkeys, with a fast target acquisition and range estimation. 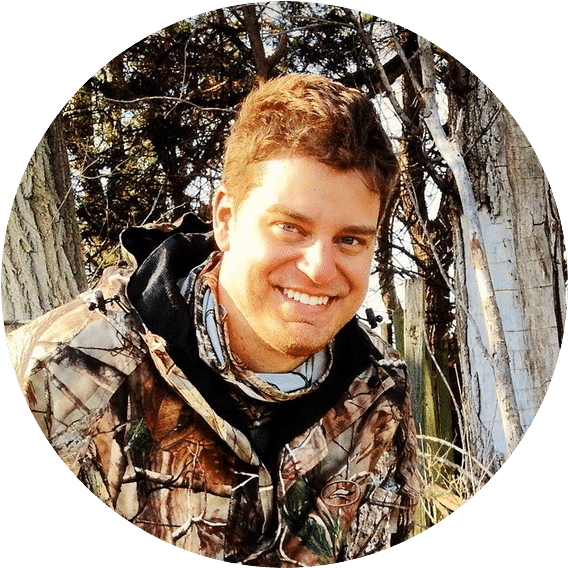 The Slug/ Muzzleloader reticles are better for whitetails and a longer distance shooting, while the Dual-X reticle is amazing for multiple moving targets. With a 1-4x magnification, this scope fits the short-range better, and we love that you have an accurate depth perception and that you can keep both your eyes open at the 1x. The multiple layers of full coating are great in terms of image sharpness, though the 24 mm lens diameter doesn’t account for increased light transmission, especially at dusk or dawn. The ¼ MOA windage and elevation adjustments are particularly accurate, and the nitrogen purging reduces the chances of internal fog formation drastically. The 30 mm tube is resistant, though it’s somewhat heavy. You’ll also get included lens caps, but these aren’t exactly brilliant, they tend to fall off with extended field use. Related: The Mossberg 500/590 Series Shotgun Picatinny Rail Mount is a good addition to your weapons arsenal, and it fits this scope to perfection. You can use it with both Weaver or Picatinny-style rails, it’s dependable and affordable, and it’s particularly light at just 1.4 ounces, so it won’t destabilize your rifle. After reviewing all the items above, you can notice how each of them has a poignant feature that makes it stand out. For instance, the Versatility Award goes to Weaver Kaspa Turkey Ret Obsession Riflescope thanks to its multiple reticles, the Image Resolution Award goes to Nikon ProStaff Shotgun Hunter Riflescope, and the Long Distance Award to Leupold 113867 VX-1 Shotgun Scope thanks to its big magnification. That said, with smaller or bigger prices, with different magnifications, reticle types, and designs, all the scopes above are great for turkey hunting. You just have to find the one that suits your needs. After browsing through our reviews, which one do you think that is and why? Tell us in the comments below!